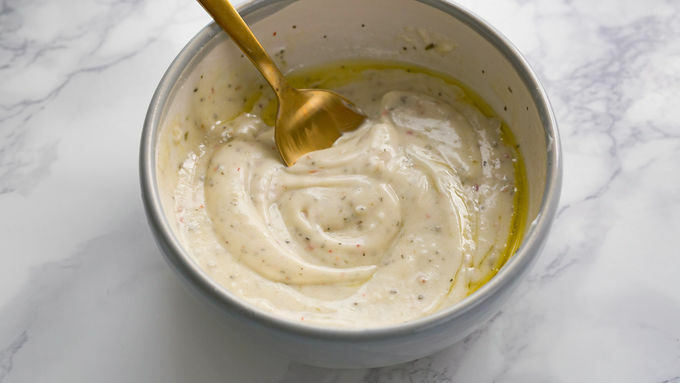 In a small bowl, mix together spice packet, mayonnaise, vinegar and olive oil. 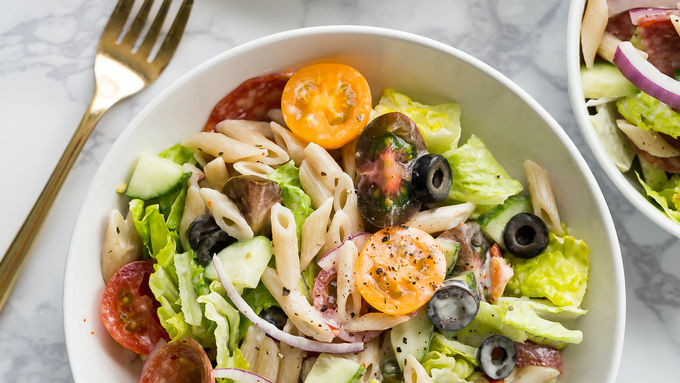 Toss pasta with romaine, salami, olives, tomatoes and cucumbers. Add dressing and toss again until coated. Serve and enjoy! The classic Italian sub comes to life in a tasty pasta salad. 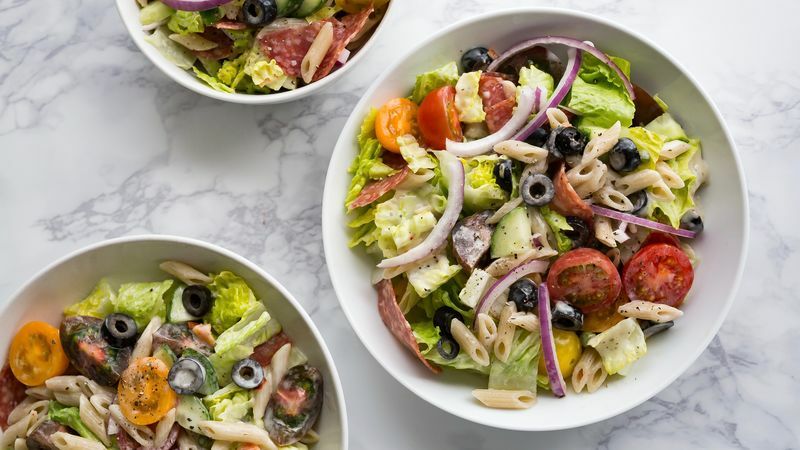 All of the flavors of you love—salami, olives, tangy purple onions—tossed together with pasta and a creamy, zingy Italian dressing. This dish takes about 20 minutes to make, and is just right for a simple lunch or lovely light dinner. 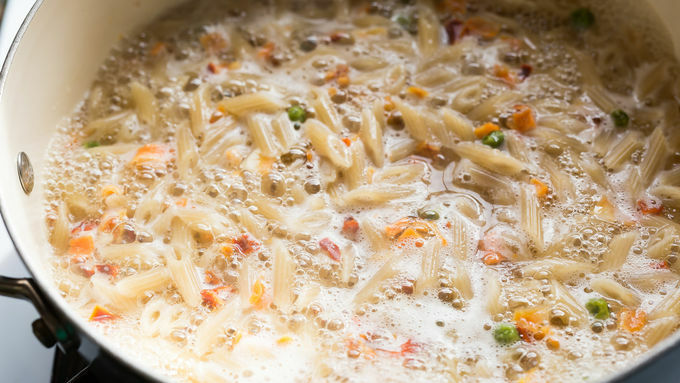 The pasta needs a quick boil, but other than that this is a completely no-heat recipe. Serve this up on summer nights when the weather outside is too hot for turning on your oven. Tote a double batch to your next potluck (it’s sure to disappear quick! ), or prep all of the ingredients the night before, then toss together at lunch for a fresh brown bag option.